Boston Handmade: Monday Mosaic - Happy Birthday, May! Monday Mosaic - Happy Birthday, May! *For a clickable version of this week's mosaic, please click here. May's birthstone is the emerald. 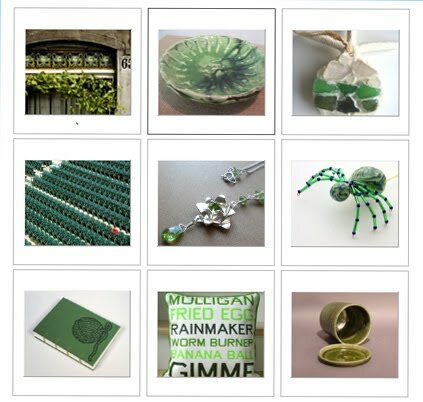 This week, Boston Handmade wishes those born in May a "Happy Birthday" with this selection of emerald colored items.